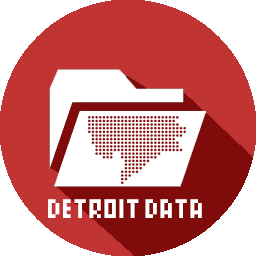 In May, I had the honor and privilege to collaborate with the Detroit Future Schools program at the Boggs School to present a series of activities about data visualization. Our main goal was to visualize and understand patterns and relationships. I ran the mapping activity where 2nd and 3rd graders identified where they lived, how far that was from school, and if they had any classmates who lived nearby. Many of the students didn’t realize they had a classmate who lived very close or similarly, how far some of their classmates lived from the school. It is all too easy to get wrapped up in data, boundary lines, and “accurate” depictions of reality. Children can quickly remind us that everyone sees the world a little bit differently and we need more opportunities to share different views. The students may not have made their own map yet, but they already had great understandings of the power of place. ← Map: Where Are the Jobs in Detroit?